The Red Dragon™ amplifier is the highest average power, shortest pulse, tabletop ultrafast Ti:sapphire laser system on the market, allowing real time software-controlled changes in the repetition rate, without optical realignment. Dragon series amplifier systems operate over a range of repetition rate ranges between 1 and 20 kHz. Make sure you answer these questions before buying any ultrafast amplifier, and future-proof your system! Harmonic conversion, OPA and EUV options are available for Red Dragon series amplifiers. 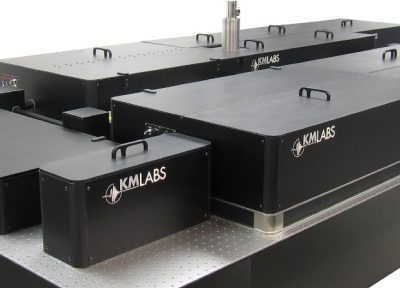 The standard KMLabs Dragon uses multi-pass amplification to generate pulses that are below 25 fs in duration with up to 20 mJ pulse energy, up to 20 W in average power. We also offer a simple inexpensive option to generate controllable pulse duration between sub-25 fs and sub-30 fs pulses. KMLabs uses compact He-gas cryocooling systems or liquid He cryo-refrigerator systems. These are compact, fully-interlocked, and maintenance-free and can be configured to minimize vibration for demanding applications such as carrier envelope stabilization. Read more about the benefits of cryocooling. is available exclusively through KMLabs. that requires negligible user maintenance. system configuration for diagnostic assistance. Motorization control of the stretcher and compressor. This system provides 12 mJ at 1 kHz. Artemis has been in operation since 2007, with an upgrade in 2013. 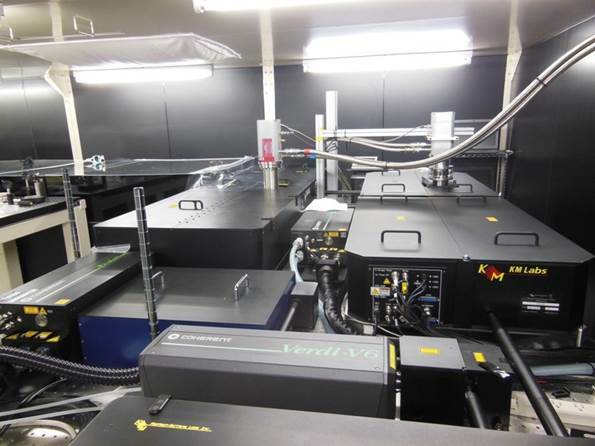 The Waseda University Red Dragon system was used to drive a novel measurement of attosecond electron wave packets. This system has been in operation since 2006, with an upgrade in 2013.